Money Lover | Blog | How to control your bank accounts like a lazy person ? 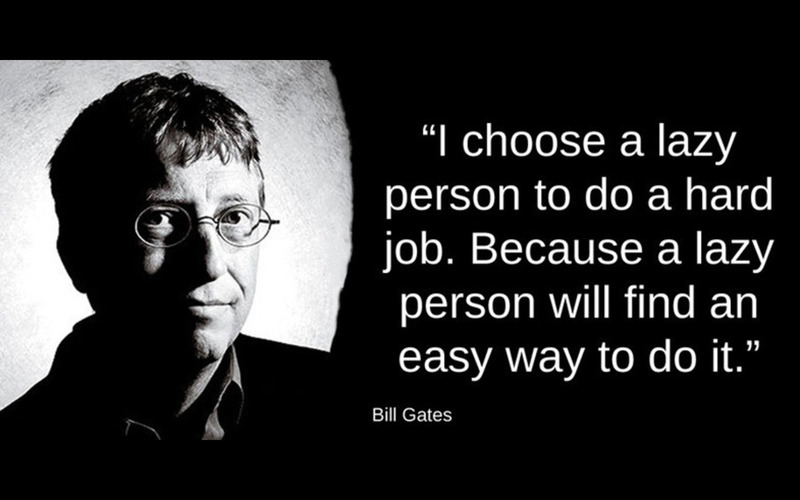 “I choose a lazy person to do a hard job. Because a lazy person will find an easy way to do it.” Have you ever heard this quote before. In case you don't know? It belongs to Bill Gates (and I know you know him). Yeah! Lazy people always have easiest way to do things. Why you can't be lazy to control your bank accounts? Let's see how do you do it with Linked Wallet. Lazy people hate to do things by themselves. They will let machines handle the everyday jobs. Recording transactions from bank statements to your spreed sheets or your accounting books is the most boring job and waste your time ever. Why you don't let Linked Wallet take care of it for you? Linked Wallet will automatically synchronizing all your banking transaction history to Money Lover app. More than that, you can link Money Lover to all the banking accounts you have. Hey look ! I don't need to do anything. It is automation ! Oh yeah! Lazier will happy when they found out this feature. You have nothing to do with Linked Wallet. It automatically recognize and classify your expense not only to groups of income, expense, dept&loan, also to purposes like bills, food & beverage, salary and so on. "Duh, I'm so lazy, I just want to sit there, observe and check reports. But not complex reports, I hate them". OK! If you want a legible, lively and intuitive report, Money Lover will create it for you. Your transactions will be analysed and visualized in eye-catching charts, icons which are really easy to understand. In addition, Money Lover also forecasts your future expenses base on the transaction history, warning you when your expense exceeds the recommend spending. You will no longer need to deal with "empty wallet" situation. Oops! Look like I just ate too much. Do you want to become a lazy person that Bill Gates is looking for? So, definitely you will need Linked Wallet. Check it out now!